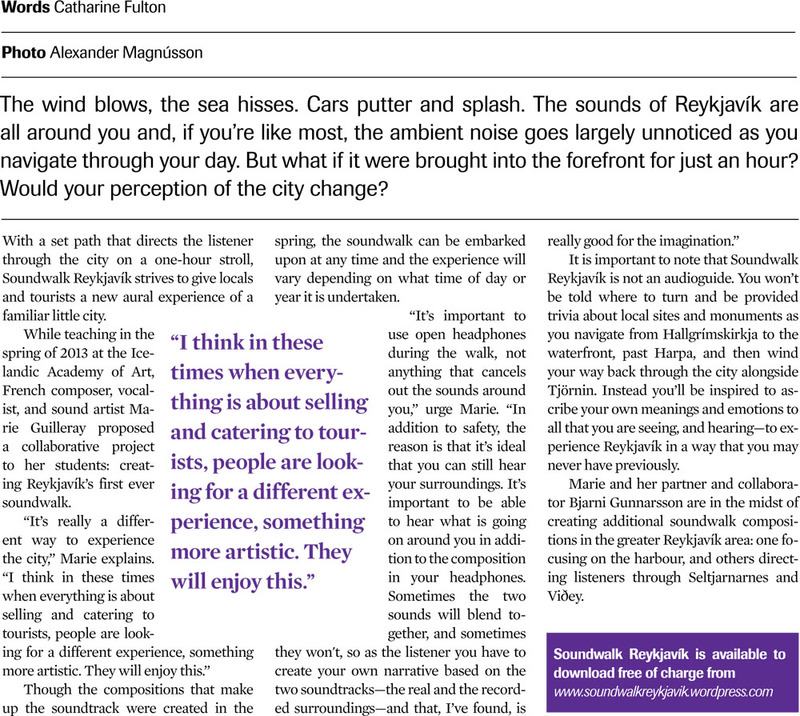 The Reykjavik soundwalk collaborative project featured in The Reykjavik Grapevine. 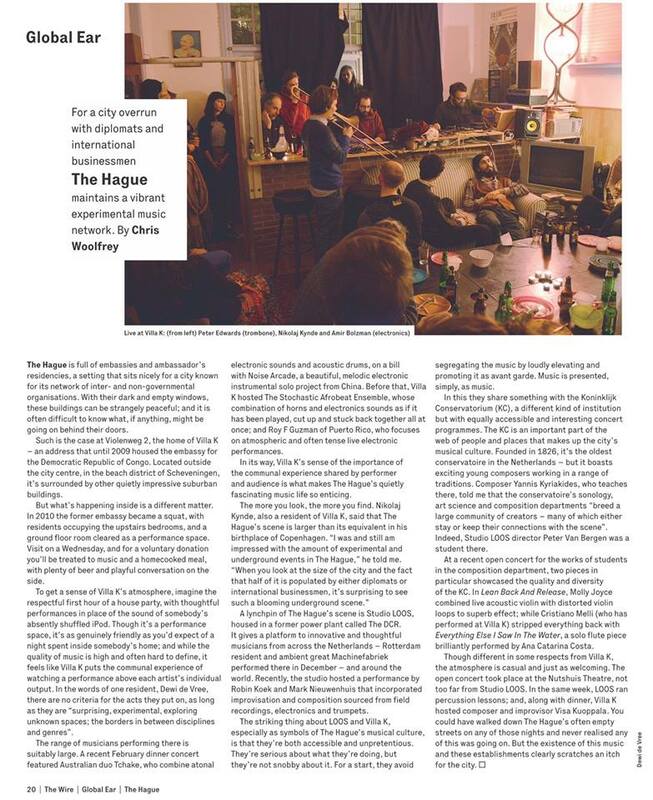 Great article in The Wire about The Hague's experimental music scene. Vocal performance for Zeecontainer benefiet concert for Tanzania at Occii in Amsterdam organized by Nora Mulder and Rogier Smal. 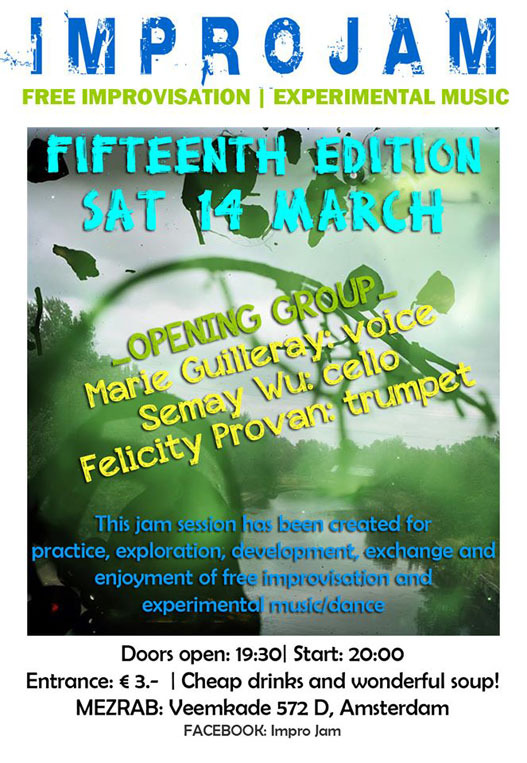 A concert of improvised music together with Felicity Provan (trumpet and voice) and Semay Wu (cello) at IMPRO JAM - Mezrab in Amsterdam currated by Ada Rave! 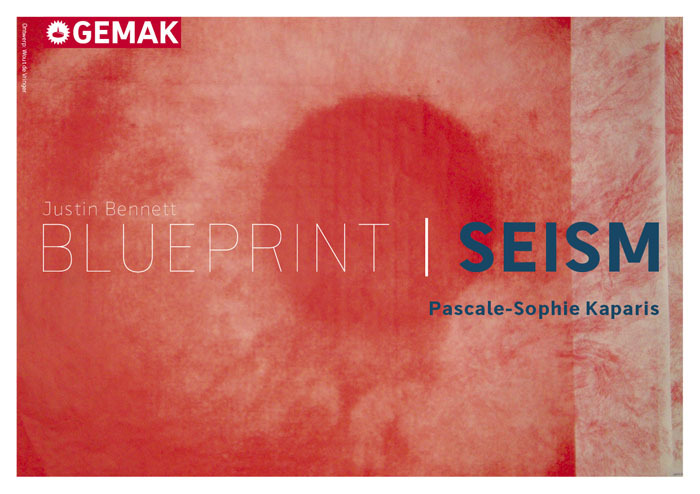 For the opening of the exhibition BLUEPRINT | SEISM by Justin Bennett and Pascale-Sophie Kaparis, I will perform together with cellist Semay Wu a piece based on the Kaparis’s installation SEISM. 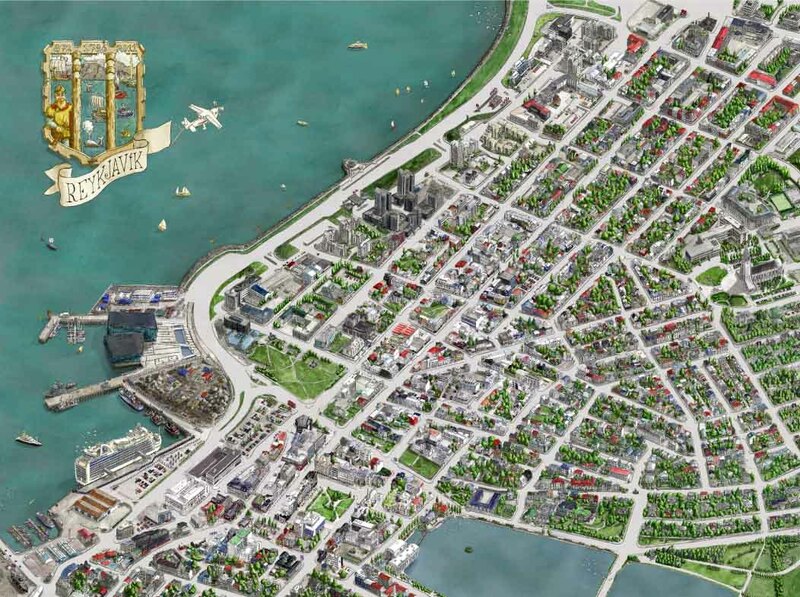 Released of my collaborative project of Soundwalk in the city center of Reykjavik in Iceland!!! Here it is : more than one year and a half after we started to worked on it (and in this year and a half I became a mother which explains a lot), the soundwalk is finally ready for the visitors and locals of Reykjavik. 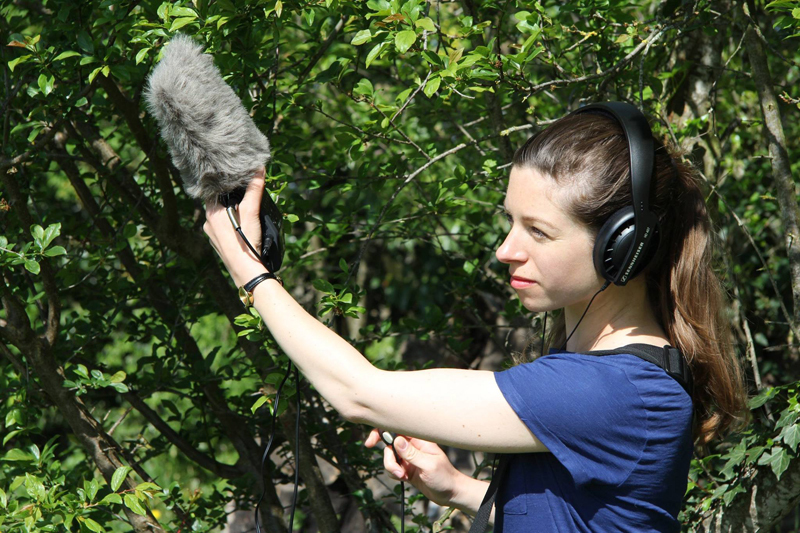 This collaborative project is in fact the very first soundwalk composed in Iceland and I believe it will not be the last since I am already working on a new one in Orfirisey which I hope to finish soon. 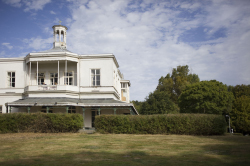 These soundwalks are free and available for everybody. 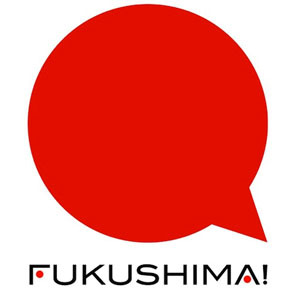 Do not hesitate to give us feedback! 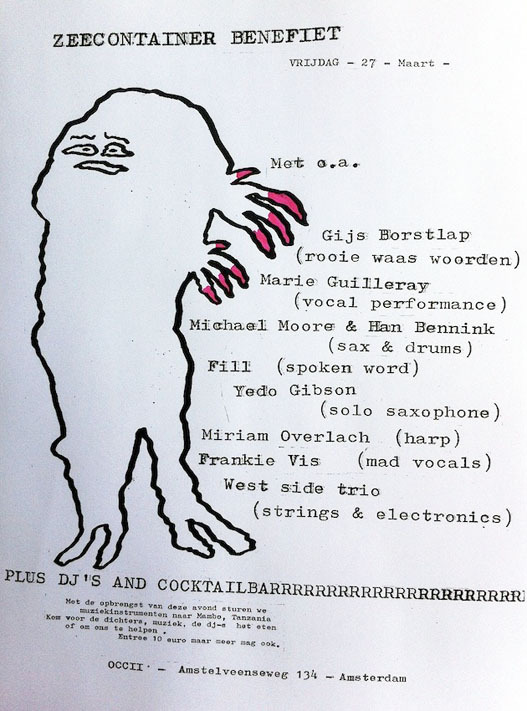 Remake of the Scratch Orchestra, with participating artists Peter van Bergen, Johan van Kreij, Marie Guilleray, Gert-Jan Prins, Kacper Ziemianin, etc. 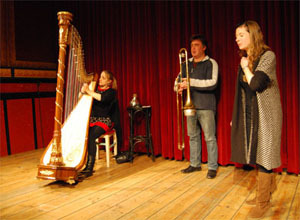 Concert with Tinna Thorsteinsdottir at Hafnarborg museum, Iceland, as part of a concert music series curated by Thrainn Hjalmarsson. 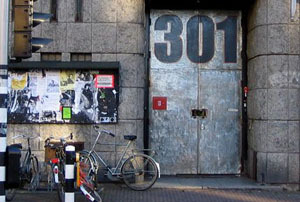 Royal Improvisers Orchestra at Overtom 301, Amsterdam, for the creation of Tumult Music, a new collective of improvised music bands and musicians based in Amsterdam. 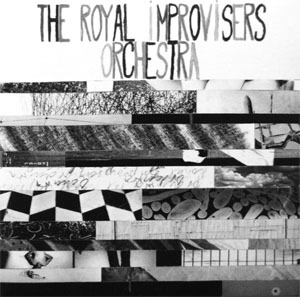 Royal Improvisers Orchestra at Dutch Jazz World Meeting 2012 , Amsterdam. 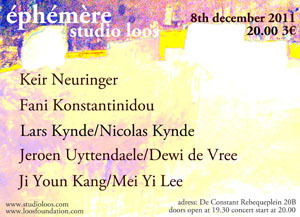 Performance of Ji Youn Kang's piece at Ephemere music series in The Hague. 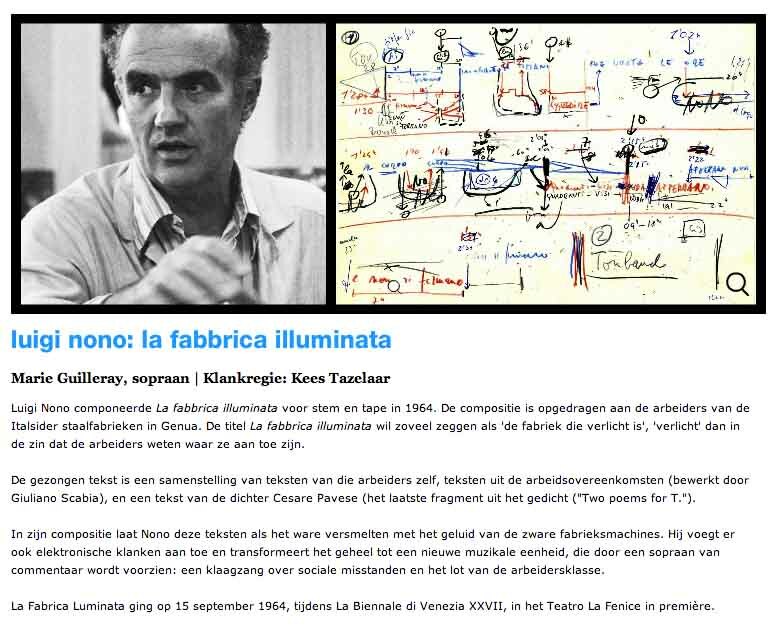 Performance of La Fabbrica Illuminata by Luigi Nono and improvisation performance with Richard Barrett electroacoustic Ensemble with special guest Peter Evans. 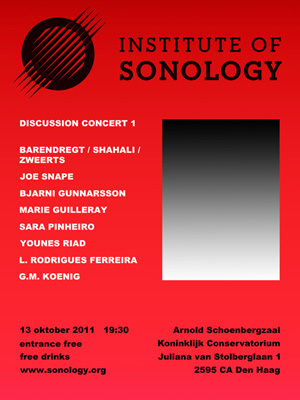 Presentation of "L'imaginaire du parleur" at Sonology concert, piece composed with Bjarni Gunnarsson during our residency at GRM, Paris. 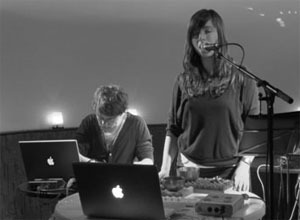 Last week in Brussels, we played a live performance at Gallery Alibene, a very nice new gallery currated by a group of french artists based in Bruxelles. 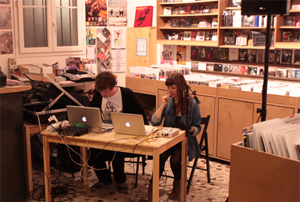 Last wedenesday we performed at Souffle Continu, one of the greatest disc shop in Paris. It has about everything on experimental, electronic, improvised, contemporary, noise and many others great music or books to discover. 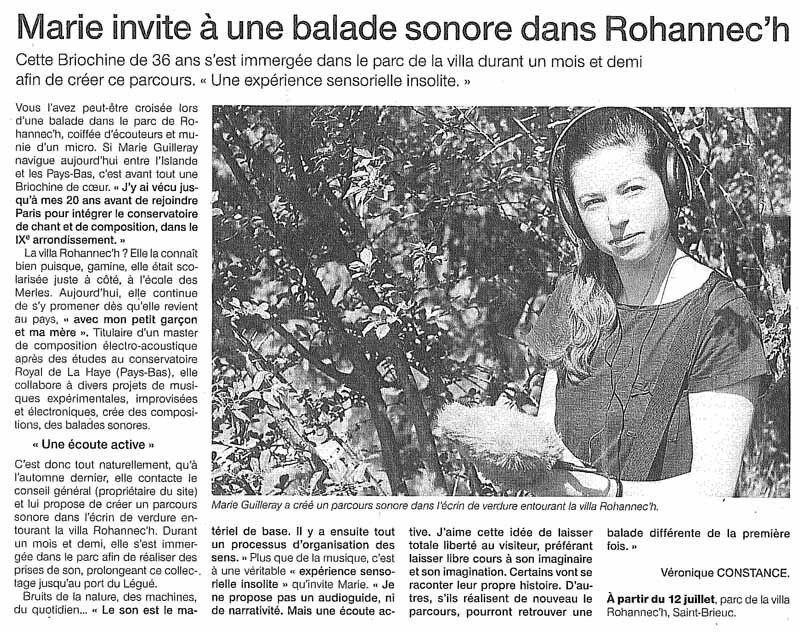 During the residency we created a 8 channels tape piece of 13 minutes with voice and electronics called "L'imaginaire du parleur". 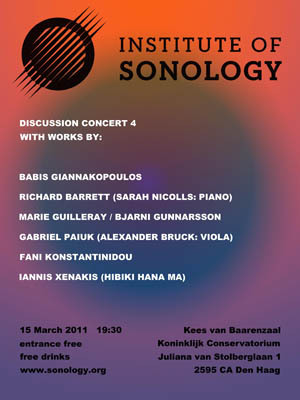 The piece will be presented in a Sonology discussion concert on the 17th of november 2011. 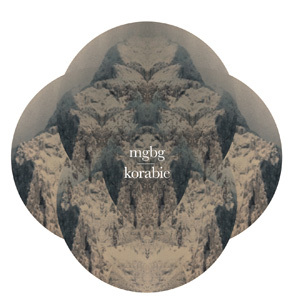 Our new album "KORABIE" is now available (special limited edition). 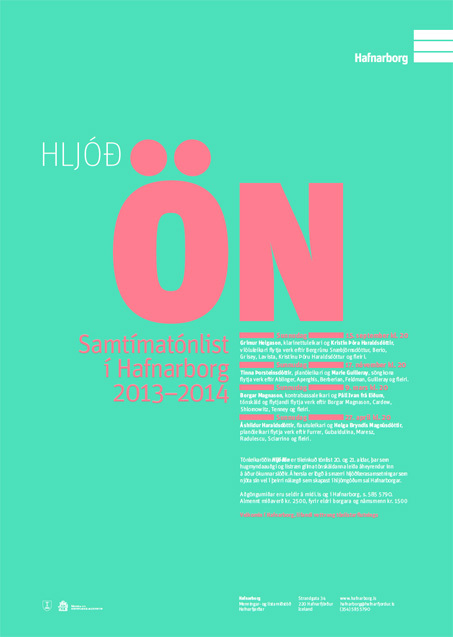 The cover is designed by Karl Ingi Karlsson, electronic music composer and graphic designer. Korabie features six new pieces purely composed or created around improvisations during roughly the last two years. 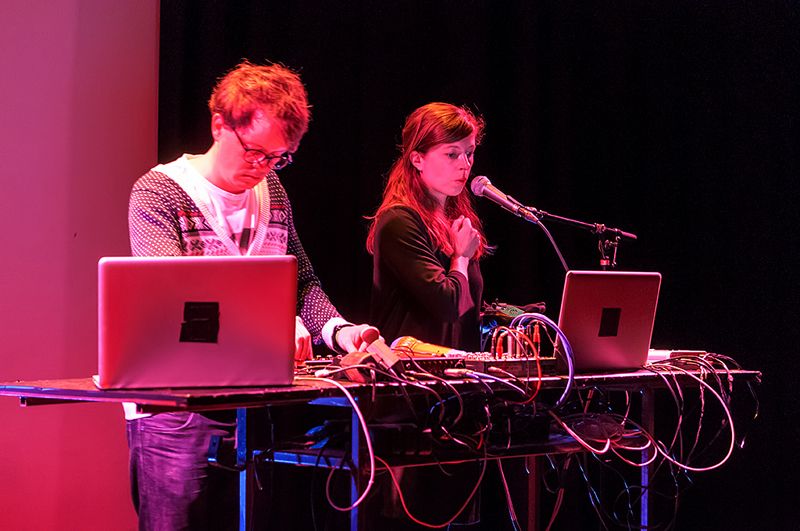 The main focus is the exploration of the combination between voice and electronics. 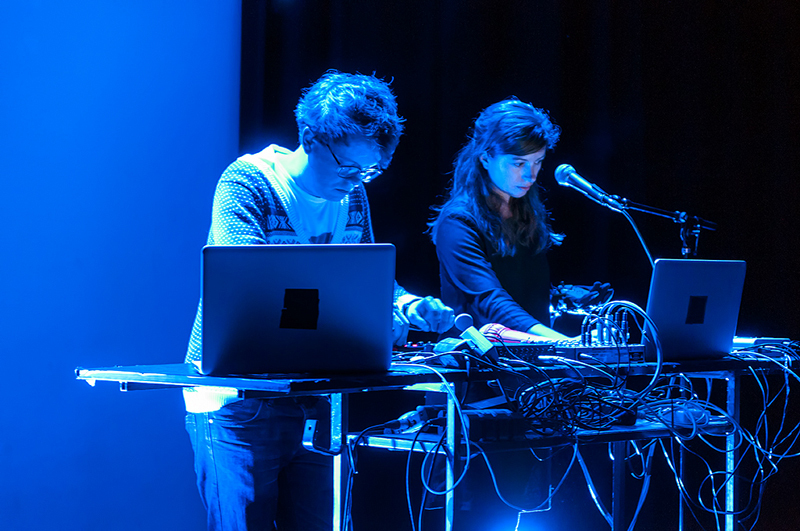 On Korabie a dense fabric of sound is brought to existence where voices and vocal manipulations meet drones and microsounds. The music seems to be coming from multiple sources. Dynamic forms emerge and spaces appear from the intimate relationship of the human voice and electronics." 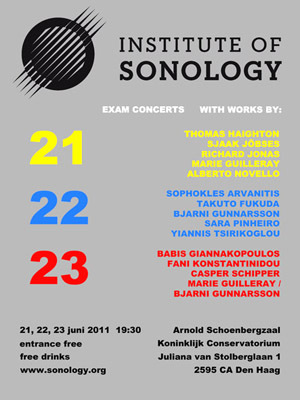 The 8 channel version of my piece "Soufflerie de verre" was diffused at the first Sonology concert of the season 2011/2012. 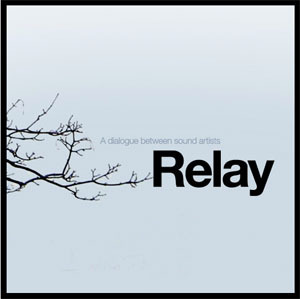 Originally made for stereo and for the online project "Relay", this piece was now rearranged for 8 channels. 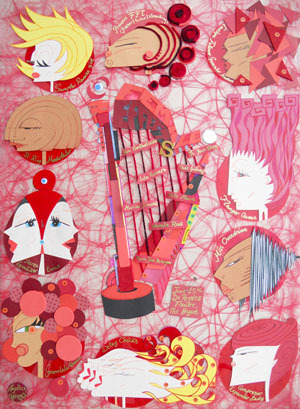 Recently I have been asked to make a piece for the Relay Project. 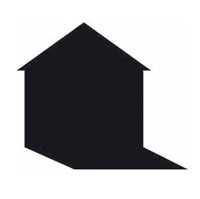 Relay is an online music project devised and curated by Irish musician John Lambert aka Chequerboard. 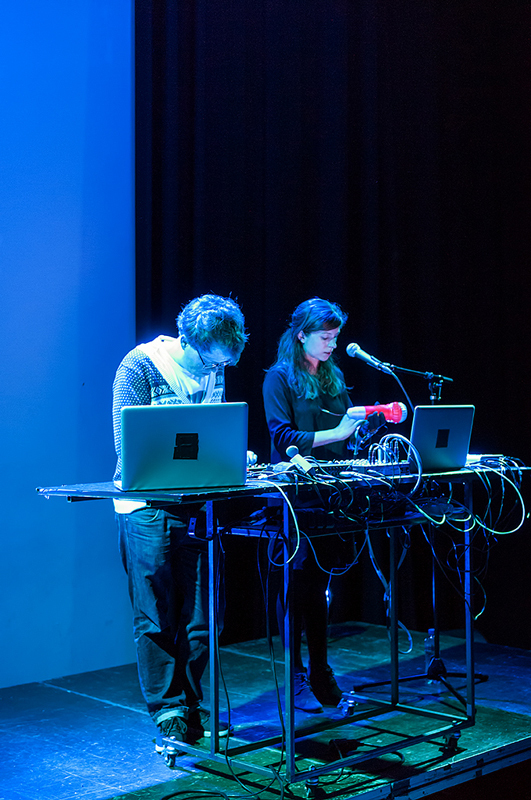 The aim in the project is to create an unbroken chain of sound pieces where each work is created in response to the previous so that ideas and sounds shift, mutate and evolve over time. 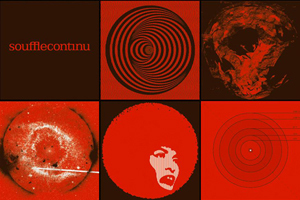 Release of our new album "LIVE AT THE BIMHUIS" with special guest Han Bennink. To celebrate, RIO will be in concert on wednesday 21st september for Trytone Festival at Zaal 100, Amsterdam. 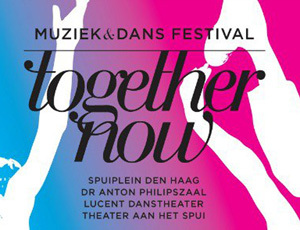 Music in language, sonifications will take place two evenings: friday 2 september and saturday 3 september at 8.30 p.m. in theater Zeebelt (The Hague). 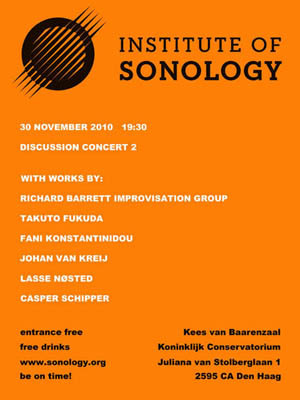 It's the presentation of an exceptional research project in which eight outstanding musicians, all experienced improvisors and most of them also composers, cooperate to convert the textworks of Tanja Smit into music. 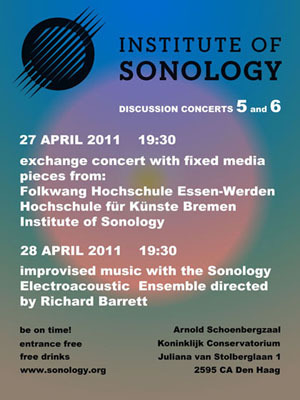 The music will be accompanied by projections of the textworks. 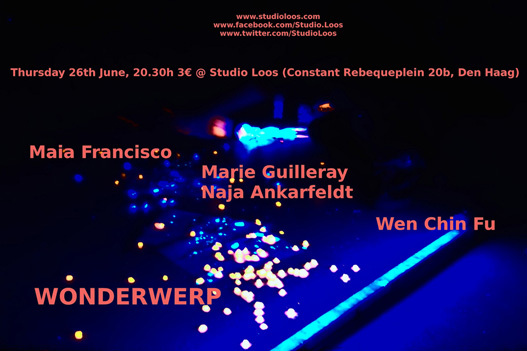 The musicians are: Anne Wellmer (also initiator, coordinator, voice, laptop and toys), Anne La Berge (flute, laptop), Cora Schmeisser (voice), Marie Guilleray (voice), Angel Faraldo (voice, guitar, laptop), Orlando Aguilar (percussion) en Jelte van Andel (double base). 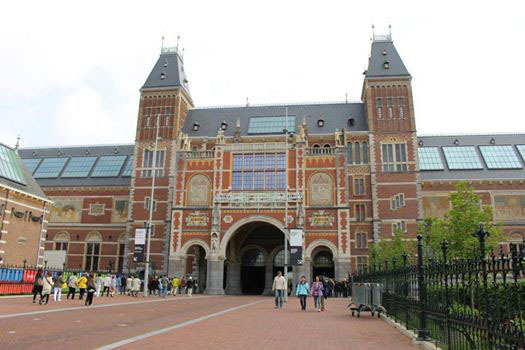 To ensure that the walkers of the Mars der Beschaving have a night to look forward to arriving in The Hague, there are a number of cultural initiatives on Sunday evening from 11 pm until Monday morning. 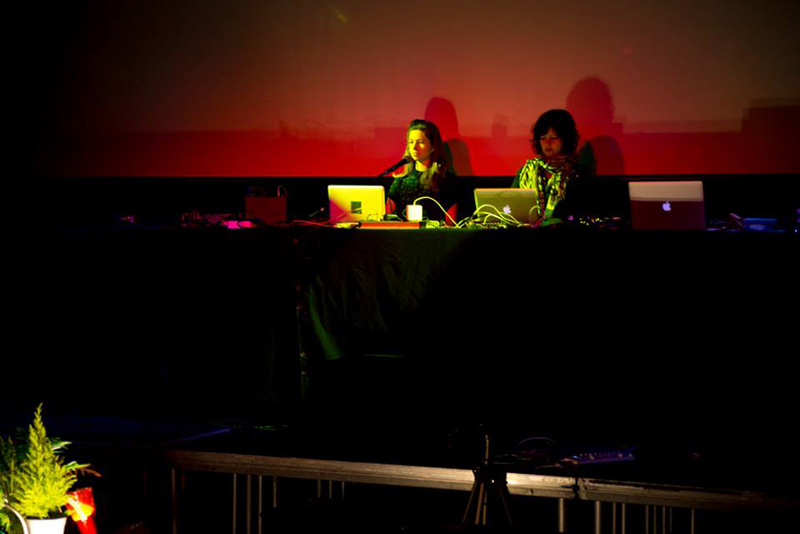 On the 21st of june my piece "Tunnel" for 8 channels was diffused, and on the 23rd of june Bjarni Gunnarsson and me had a live performance with voice and live electronics. 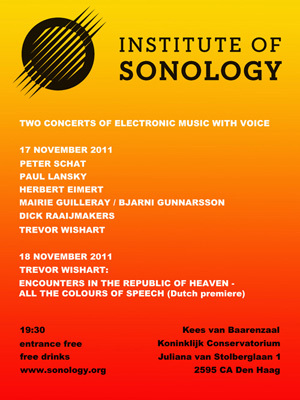 Premiere of the piece "Glossolalia" by Robert Blatt, for voice and live electronics (2011), at Wonderwerp, The Hague. "Every limb of my body would, as a result, be set a fire. 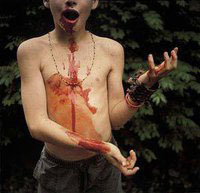 At such moments my tongue recited what no man could bear to hear." 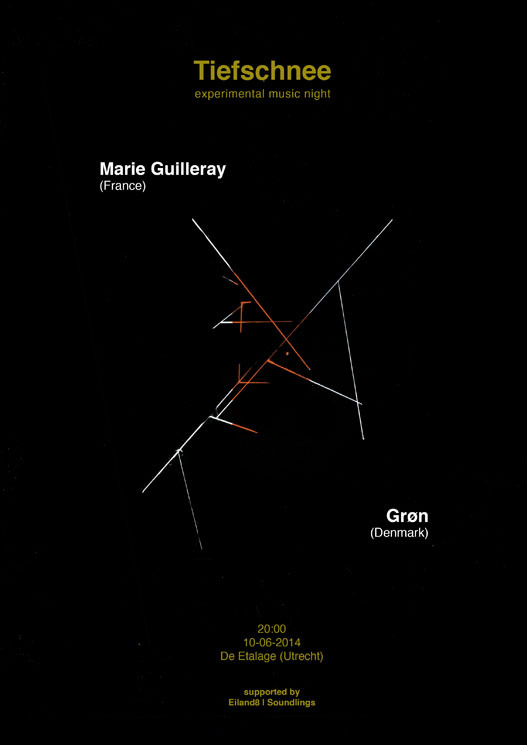 Composed from twelve descriptions of ecstatic experiences found within sacred texts translated three times into twelve different languages, Glossolalia is a piece for voice and electronics written for Marie Guilleray. It is both a movement towards utterance and an exploration of altered states of consciousness, using an abundance of speech sounds, multiple languages and the introduction of stroboscopic effects. 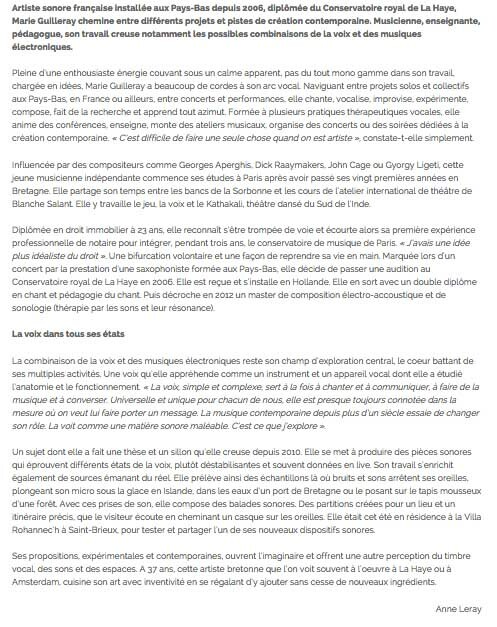 It was composed in close contact with Marie, as we have in the past worked together on the incorporation of the voice with electronics. Last session of the improvisation sessions at the Royal Conservatory with Guus Janssen, Richard Barrett, Claron McFadden, Marie Guilleray, Renee Jonker, Bert Mooiman, Milana Zaric, The Scroll Ensemble, Ensemble Echoes, Vasilis Stefanopoulos, and the Music and Dance group. Drone piece by Anne Wellmer at the Grote Kerk during the night of saturday until sunday morning. We have been playing some beautiful drones with indian harmoniums. Cass performance currated by Justin Benett and Roelf Toxopeus My performance with John Fanning and Maya Verlaack took place at the Royal Conservatory, as part of the Spring Festival 2011. 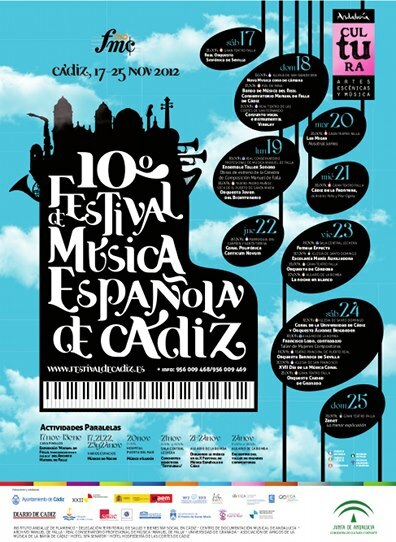 Special guests Sarah Nicolls (UK) who will perform Adrift for piano and electronics with Richard Barrett, and Alexander Bruck (Mexico) who will perform a work for viola and electronics with Gabriel Paiuk. This concert will also feature the 8 channel electronic music that Iannis Xenakis composed for the Steel Pavilion of the World Fair of Osaka 1970. 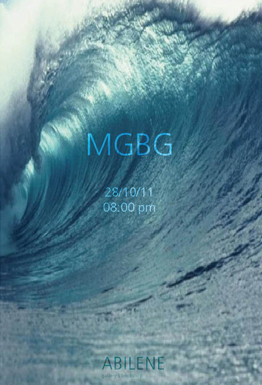 MGBG's new website is online! 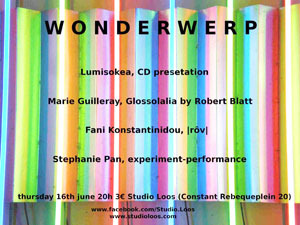 Live set of composed and improvised music. This evening we played some of our compositions "In Between" and "Duality" and we also improvised using samples and recorded materials. 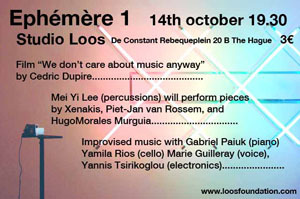 Improvised music concert of RIO at Zaal 100 in Amsterdam. This evening will be dedicated to Yedo Gibson's music. 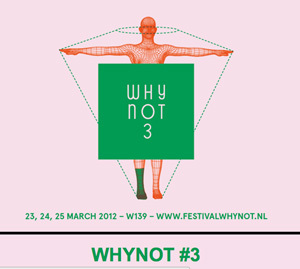 Improvised music with Wolter Wierbos (trombone), Dana Jessen (bassoon) and Miriam Overlach (harp). 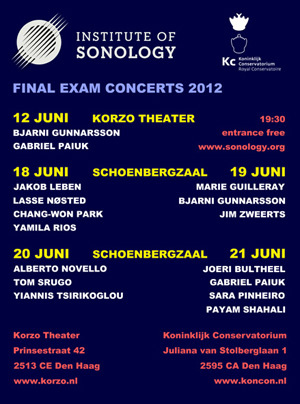 This concert was a very nice one. 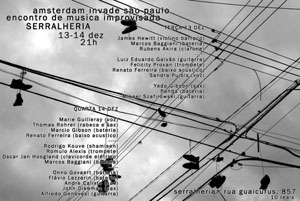 A nice program made of solos, duos, trios and quartets, all nice an surprising combinations, with the pleasure of meeting the musicians on stage, playing and improvising with them without knowing them before. What a nice evening! 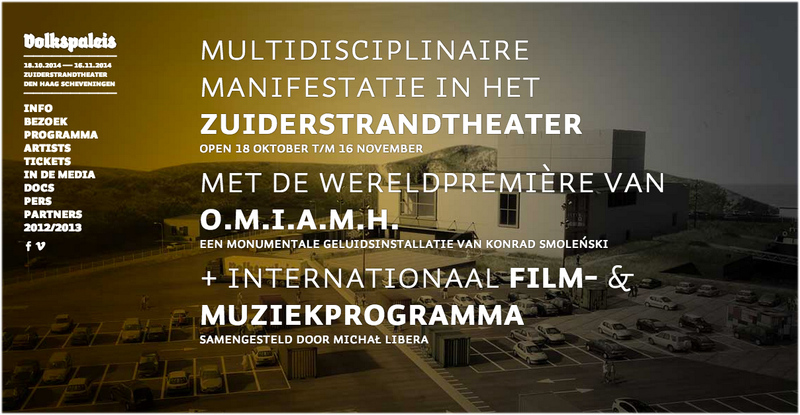 It's an outstanding example of a state of the art Dutch artistic research project, artistically and theoretical embedded in an international framework of human improvisers, machines, software programmers and hardware developers. Last saturday I had the chance to play with IOM environment as part of the Doek Festival in Amsterdam. It was a fantastique experience that I would like to renew very soon. Great visuals, a machine that reactes in a unexpected way, and a lot of interaction with the player, the audience. I enjoyed it a lot. 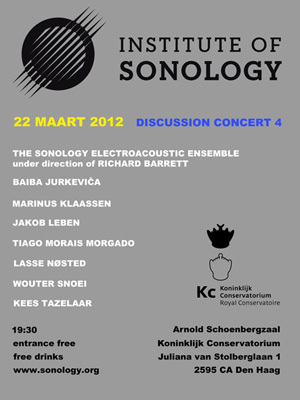 Yesterday evening was the second edition of the sonology concerts. We played with Richard Barrett ensemble. 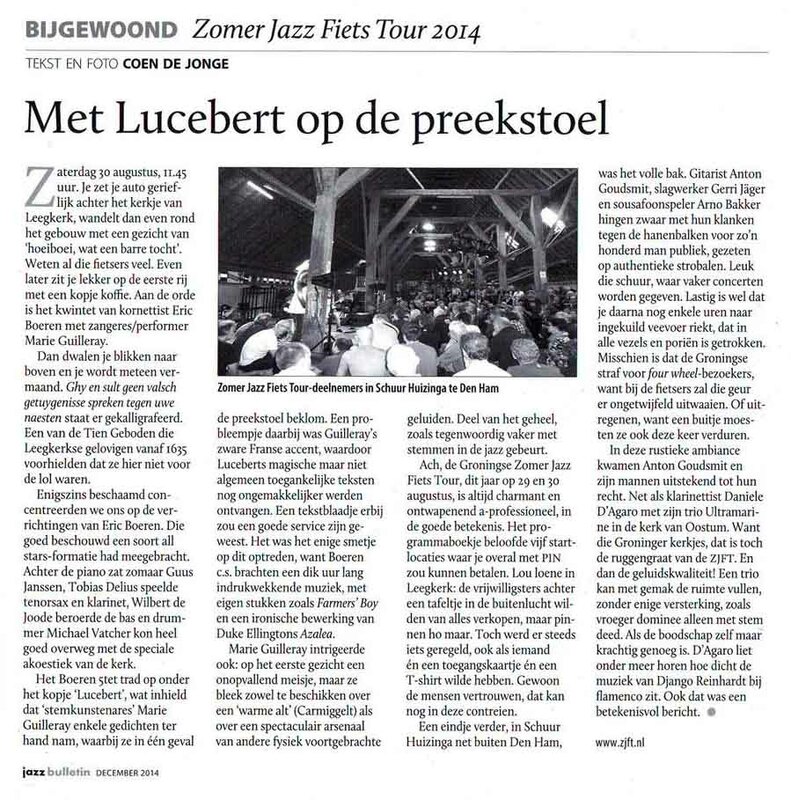 It was very nice concert and great to be playing with them. We all felt that our piece was much shorter than it really was, the audience too, which is always a good sign. 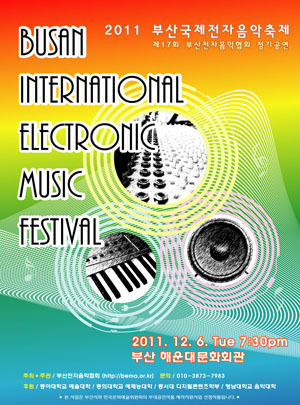 Next step is to integrate more acoustic and electronic musicians to the ensemble. 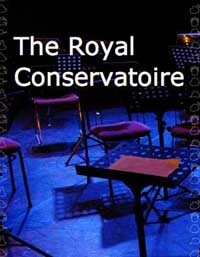 This week has been the first edition of the Improvisation festival at the Royal Conservatory of The Hague, organised by the composition department. First day started by an introduction lecture of Butch Morris, our guest for the week. 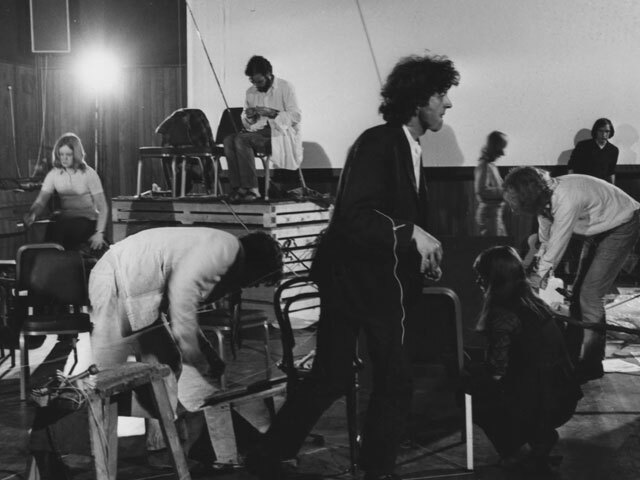 The program was quite dense and interesting : in the mornigs there were rehearsals with an orchestra composed of 50 musicians from the conservatory conducted by Butch Morris, lectures conducted by Butch Morris during the afternoons, and improvised music concerts in the evenings. 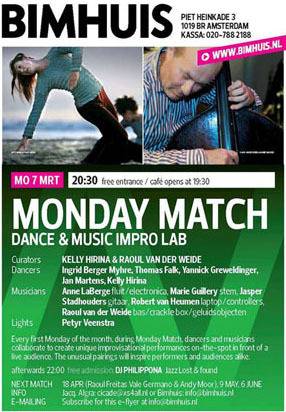 I was rehearsing every day with the Butch Morris ensemble, and playing every evening : on tuesday in duo with Johan van Kreij (electronics), on wednesday in quintet with Angelica Vasquez (harp), Milana Zaric (harp), Corne Roos (double bass) and Rodrigo Parejo (flute), on thursday with Royal Improvisers Orchestra, and on friday with Butch Morris ensemble. We played an improvised a piece with Richard Barrett (electronics), Yannis Tsirikoglou (electronics) and Yamila Rios (cello). 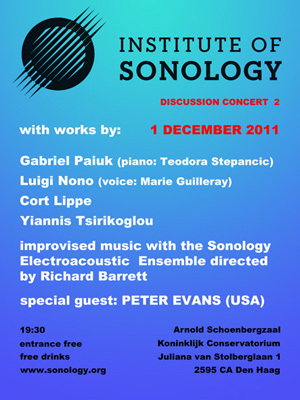 Improvised music concert with Gabriel Paiuk (piano), and Yannis Tsirikoglou (electronics), Ephemere series, The Hague. 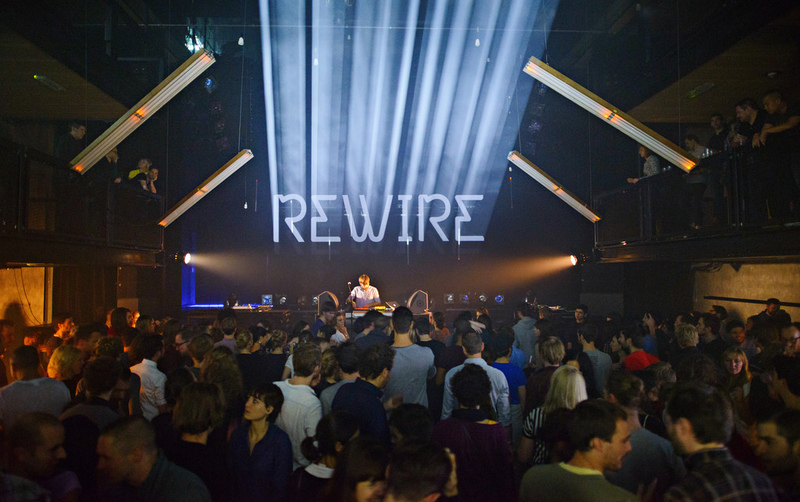 The piece "In between" is inspired by the way resonances can connect together, disturb each other and create new sonic and imaginary environments. The idea is of a pure tone that gives birth to other and more complex acoustic experiences and invites both the performer and listener to participate in this journey. "In between" is the path taken from and to very pure points and examines what happens in the more chaotic states between these two. 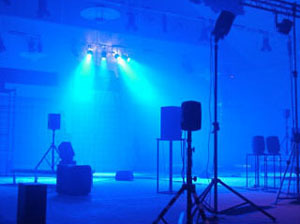 This could be understood as a parallel world where the listener can witness how a simple sound can evoke images of places, explosions, sounds from nature or mirrors of a performer own sound. 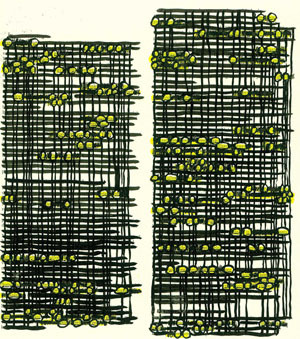 "In between" is composed for computer, voice and gongs. 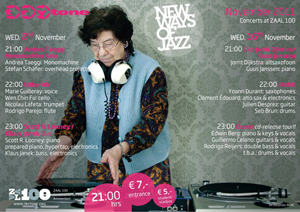 Improvisation with Angelica Vasquez (harp), Nicolau Lafeta (trumpet), Corne Roos (double bass) and Marie Guilleray (voice). 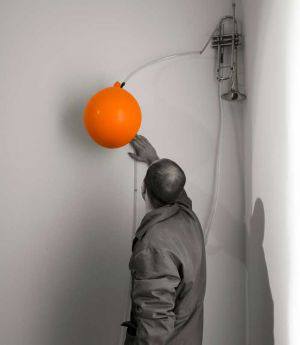 The performance is an experiment with sound and space. 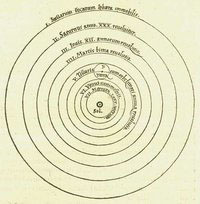 The music is based on the creation of new sounds by exploring the acoustic properties of the space and the possibilities of our instrumentation in which it is sometimes difficult to distinguish who is playing what. 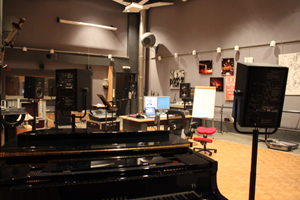 The special result breaks the expectations made by the lyricism of our instruments. 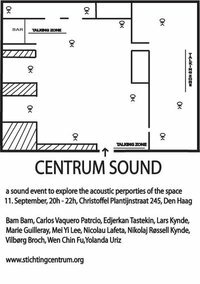 Centrum sound is a sound event explore the acoustic properties of the space. 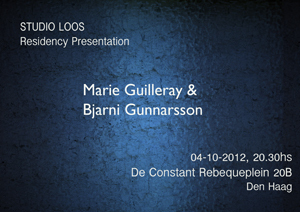 This sound event will take place on 11th of September from 20h till 22h. 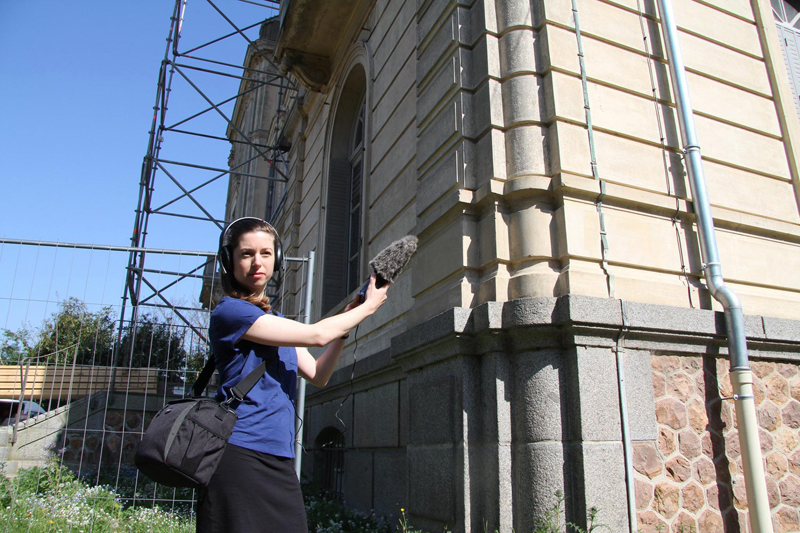 11 musicians are going to produce purely acoustic sound in the space of Centrum, either by playing their instruments or hit and drill the structure of the building. The musicians are being separated in 3 groups: duo, trio and ensemble. 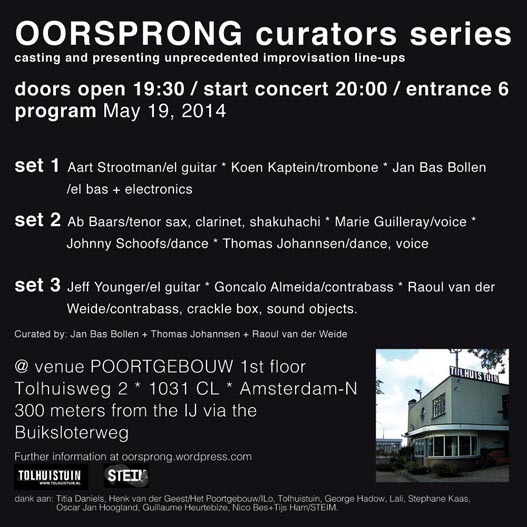 Each musician improvises in their territory of the space. 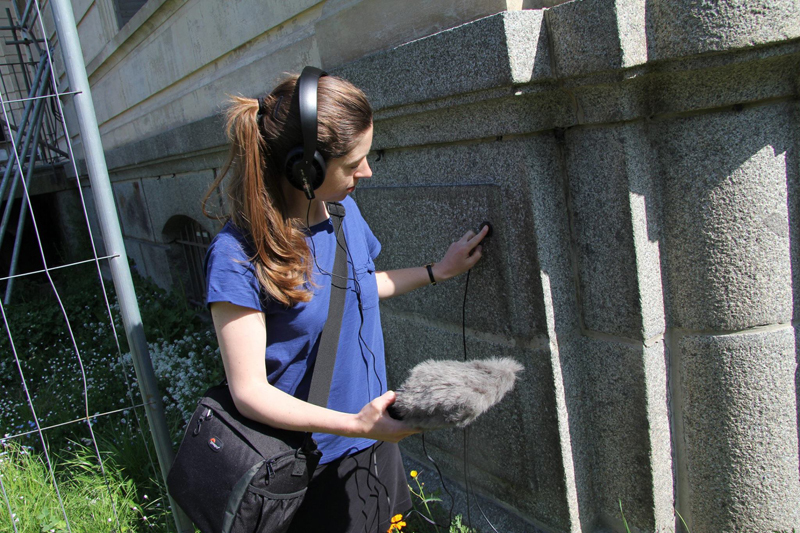 The visitors can each record their own experience of the event as they walk trough the soundscape. 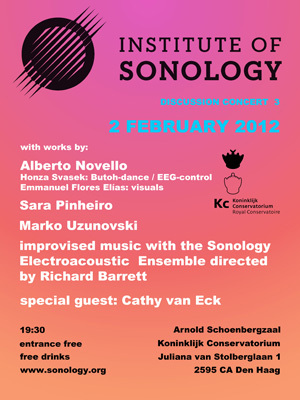 The purpose of this sound event is in this way to explore the acoustic properties of the space. 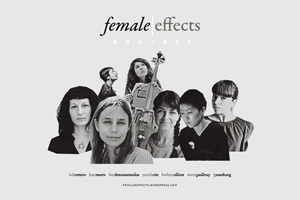 The recordings will be material for online streaming and future compositions. 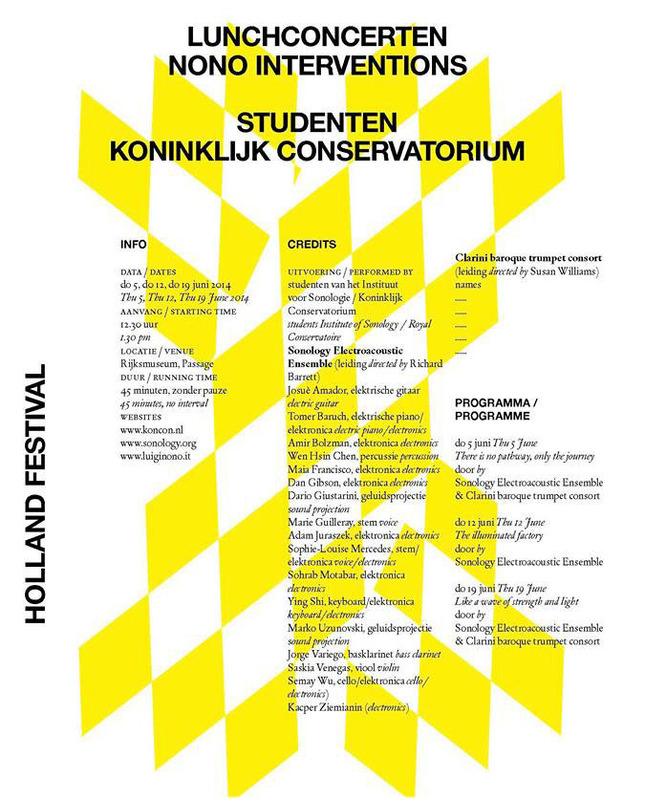 Participants: Edjerkan Tastekin - voice, Marie Guilleray - voice, Vilborg Broch - voice, Carlos Vaquero Patrcio - flute, Yolanda Uriz - flute, Lars Kynde - cello, Wen Chin Fu - cello, Bam Bam - double bass, Nikolau Lafeta - trumpet, Nikolaj Rossell Kynde - trombone, Mei Yi Lee - percussion.